Why should you use an online solar marketplace in going solar? Where do most people start when going solar? You might be wondering where to start if you want to make the decision to going solar. A while ago, this process was a bit complicated, because if you wanted to do your research, information about solar was fragmented and it might have proven it hard because of inadequate information. However,today with the world wide web, it is possible to conduct research about solar and especially with regards to the costs and benefits of going solar. In that regard, many people searching online to go solar are interested in knowing whether solar panels are worth it or not; how many solar panels they may need to switch to solar; how much solar panels cost; the types of solar panels needed; what is the solar panel cost? and so on. With search engines such as google, bing and others you can type any question and be provided with many answers to your questions or the information you are looking for. Although information found as a result of typing on these search engines may take time and maybe not provide you with a personalized report about your solar case. That’s why solar market places come handy these days as they provide you with personalized solar information. All is required from you is typing your home or business address on this system. What are some of these Online Solar Market Places available today? With the onset of solar market places available on the world wide web, a few solar market places have been developed by different companies, including Google Project Sunroof, Energysage, Pick My Solar etc. These solar market places provide users with a one stop place to help consumers compare and contrast different plans for switching to solar. In addition, these market places help to connect solar consumers with solar energy providers in their area while sharing important information about going solar. So, why should you use an online solar market place to go solar? Online Solar market places have simplified the process of going solar and the only thing required from you is to type your address in the market place system. This system pulls data from several sources, including google maps and other databases that provide information such as sunlight peak hours athat would enable the system to calculate how much sun is hitting your roof. As a result, it is possible to calculate how much solar you can produce with solar panels in your home. The system is also able to calculate the percentage of your energy needs that can be met with solar energy produced from your solar panels. 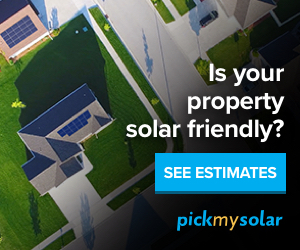 To get a personalized solar report, you can visit here to determine your specific energy needs and how much you can save with solar using one of these solar market places called Pick My Solar. The Pick My Solar solar market place runs on a software that uses data that is gathered using LIDAR (Light detection and Ranging) technology that maps buildings or structures, including trees, utility poles or other objects in three dimensions, allowing this system to create a virtual world of shadows, slopes and solar hot spots. LIDAR technology employs shooting of lasers or infrared light from a low-flying airplane. To get started click here to enjoy the above benefits of using a solar market place and find the solar information you are searching for in one place. Thank you so much for this valuable information. I have been wondering how to figure out my energy needs and fell upon your article. Solar panels are definitely worth it. I have noticed that many are switching to them more and more each day. There are so many positive aspects to solar panels. I think that it should become an obligation to all. Hi Sonia, thank you for your comment and for visiting my blog.I am glad that you found this information useful and it is true more and more people are switching to solar after realizing it is not only going to save them money,but also help to conserve the environment. You can actually get more specific information for your case by clicking here if you are resident in the USA or here if you reside outside the USA. Here you will get to know the size of your solar panels as well as how much you can save if you switch to solar. Let me know if you need any help in using this system. Thanks again for your positive comments.